The United States Marine Corps are said to have been given the nickname Teufel Hunden, or Devil Dogs, for their ferocious fighting style. The back of the Red USMC Teufel Hunden T-Shirt depicts their fierce devil dog mascot. Shown here as a red-eyed, grim-faced silver colored bulldog, the back of the shirt also features a USMC insignia and the words ALWAYS FAITHFUL. 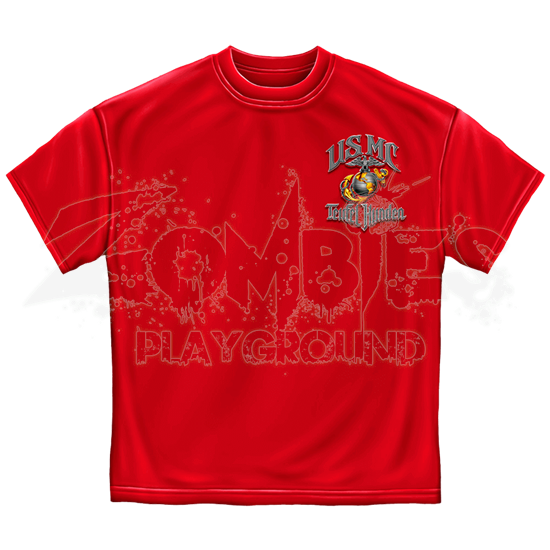 The front of this red t-shirt shows a small USMC insignia graphic over one side of the chest. 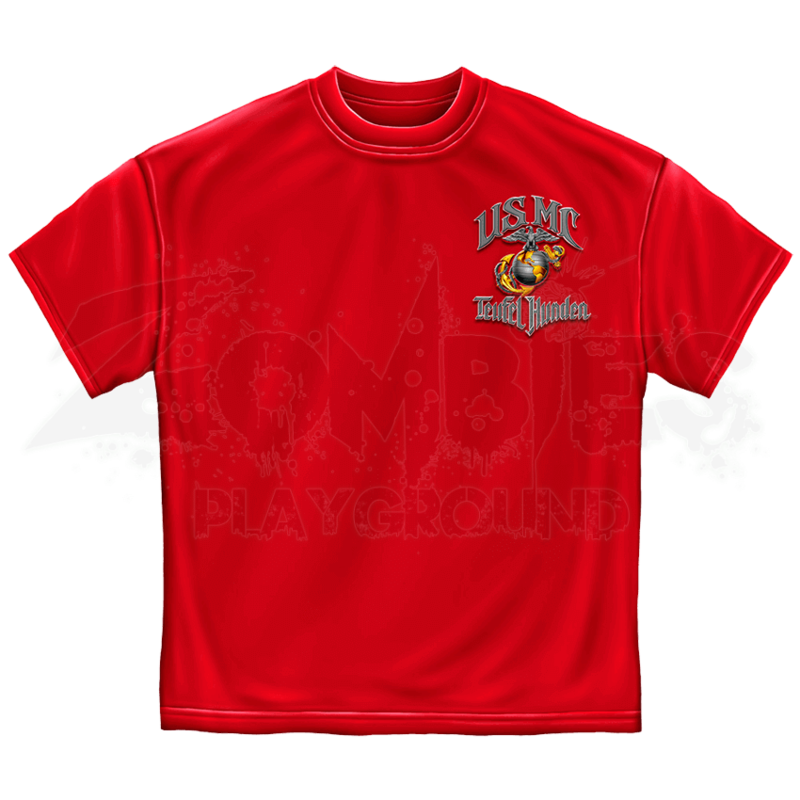 Made of quality, 100 percent cotton, this pre-shrunk t-shirt features a sturdy, heavyweight construction, making it perfect for showing your support for the USMC with everyday comfort and style.